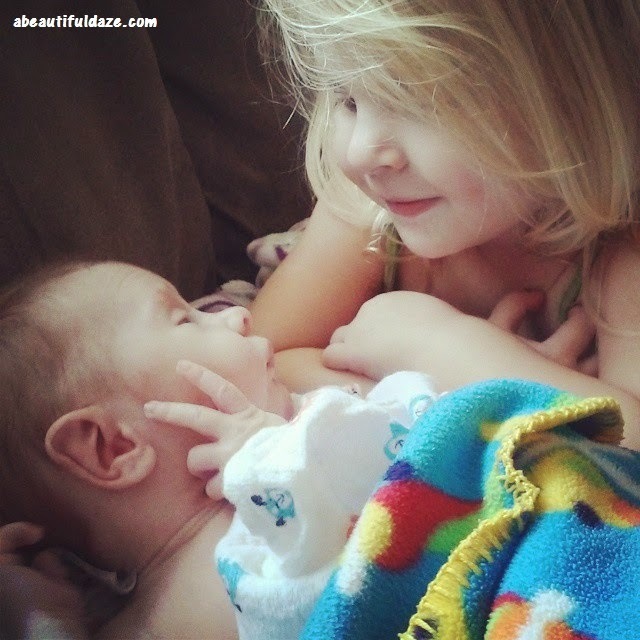 How do you know you're a stay-at-home mom? 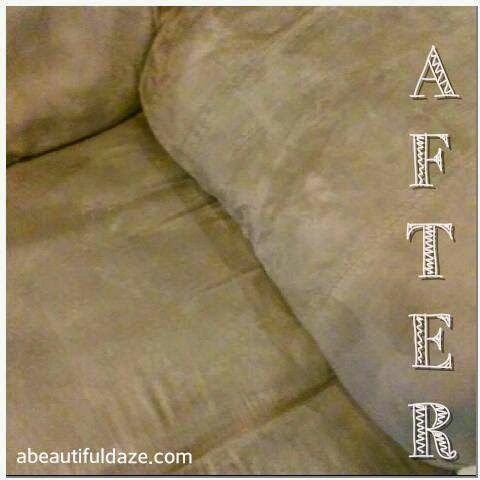 When the most exciting part of your day is getting to scrub your dirty couch! I am SUPER excited to be sharing some awesome stuff with you, today! Super excited and yet, a little ashamed at the same time. Excited, because these hacks are just so awesome! Ashamed, because in order to share them with you I have to expose some of the dirtiest parts of my house.......... I don't like people seeing my house dirty. AT ALL. So, I'm taking myself way out of my own comfort zone in order to share this crap with you. You're very welcome. I don't think it's a secret to anyone that I'm a huge Pinterest fan (and that I'm always looking for economical yet healthy, chemical-free ways to take care of my family). I mean, let's be honest. If I could earn money by pinning other people's blog posts, I'd be a millionaire! Alas, I have not figured out a way to do that... yet. So onto the next best idea! I skimmed through my Pinterest boards and chose 5 "hacks" that I have been dying to try. You see, Stud and I are hosting a fish fry this Friday, for all of his marina employees, and I want my house to look spectacular (since, you know, I am the boss's wife... and our house is still fairly brand new... ahem). For that very reason, I figured that right now was the best of any time to try out these cleaning tips! So, that's just what I did. I tried them out, I took photos, and I wrote an article about my results, which I'm going to share with you. This is VERY exciting to me ... I hope you enjoy these hacks at least half as much as I do! Take a look at the 5 Cleaning Hacks That Actually Work From Pinterest by clicking here. What are some of your favorite cleaning tips? I would LOVE to hear more ideas for keeping a clean house! Email me or comment below with your own secrets. Nice! 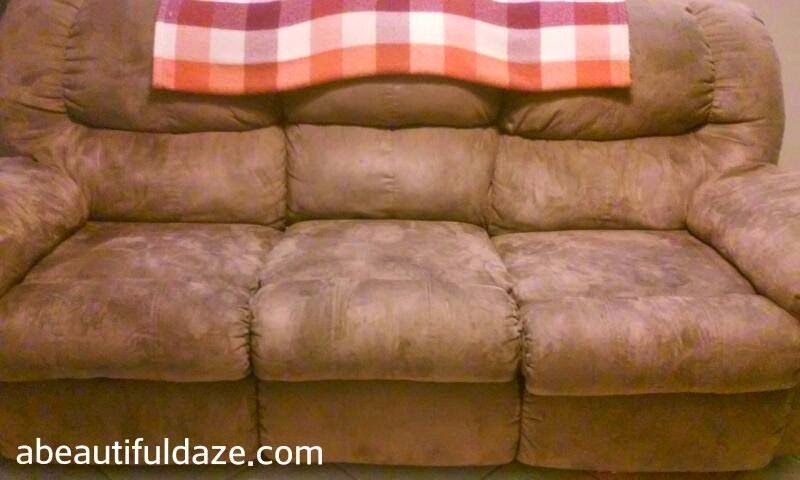 My parents have the same type of couch and my kids got it a little dirty...I may have to give your trick a shot! Thanks! Ummm...I need this Pinterest hack for the glider in my son's nursery. You're brave...I won't ever post my glider photo! I can't believe the before and after photo. I have a pair of red sofas downstairs in the "nice room" that the kids spilled on, I need to be brave and try this hack on mine too, on an inconspicuous area first, just in case. Thanks for the cleaning idea, it could save me a small fortune in steam cleaning bills! That couch looks amazing. I love when we find simple ways to clean things and save money too. 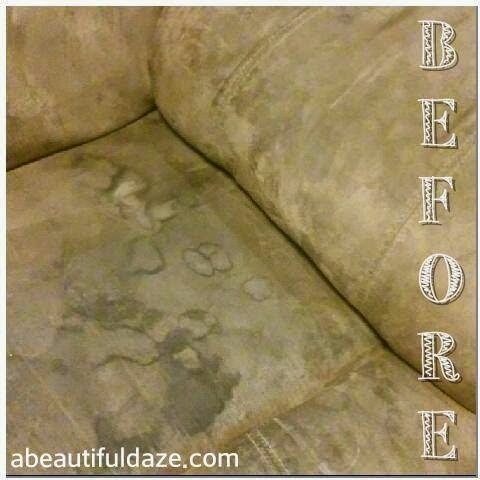 Wow what a difference in your couch! 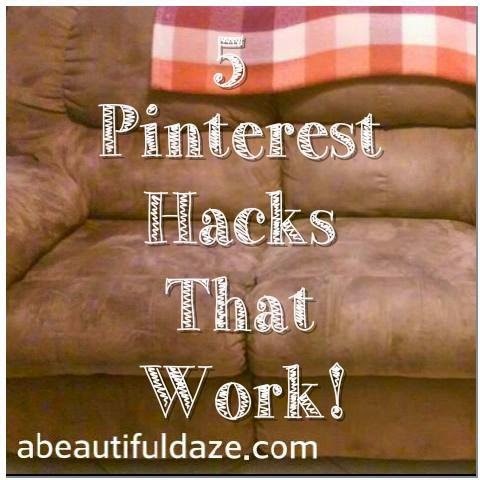 I'm looking forward to reading all 5 Pinterest hacks that actually work. My hack is using AVON skin so soft to remove stubborn burnt on build up and grease splaters around the stove. Let it sit and work and simply wipe off!